CSIRO, Australia’s national science agency, and agtech startup Ceres Tag have created a new type of ‘fit bit’ to help farmers to keep track of where their livestock are and what they are doing. The new technology, which takes the form of a smart ear tag, produces similar data to that delivered by consumer smart watches. Using the device farmers can track where their herds graze, if an animal has escaped or been stolen, and even unusual movements which could indicate an animal is giving birth or sick. 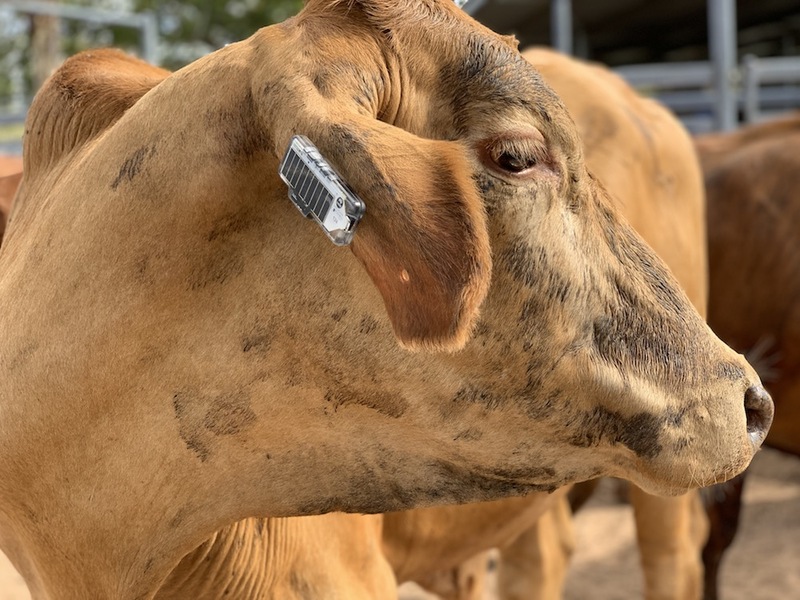 The smart ear tag was successfully trialled on 100 cattle at CSIRO’s Lansdown Research Station near Townsville, Queensland, last week. The aim is to save farmers time and money compared to the costs of manually tracking their herds using vehicles or aircraft. David Smith, CEO of Ceres Tag, said: “Ceres Tag gives greater transparency over grazing management, allowing farmers to locate and monitor their animals to reduce risk and operating costs, improve efficiency and assist with traceability”. “The tag is GPS-enabled, allowing farmers to track the location of individual animals remotely, via Internet of Things (IoT) capability,” he added. “Aussie farmers need every bit of help they can get right now so we are pleased it has taken less than a year for this technology to move from the research phase into development for a real-world trial on cattle,” Dr Ed Charmley, Group Leader at CSIRO said. Ceres Tag will be on show at the digital forum at MLA’s Red Meat 2018 event in Canberra on 22 – 23 November and the Global Forum for Innovations in Agriculture in Brisbane the following week. The tags aspire to be the world’s first smart ear tag accredited for provenance to international traceability standards, including Australia’s National Livestock Identification System (NLIS). CSIRO and Ceres Tag will release further iterations of the smart ear tag, drawing on CSIRO’s deep livestock knowledge and the sensing and data analytics expertise of its technology arm, Data61. Source: CSIRO. For more information please visit https://www.csiro.au/en/Research/AF/Areas/Animal-Science/Precision-livestock-management/Ceres-Tag.